Now, the H.E.R.O.es community is at a crossroad. Some of them exploit their gifts for commercial gains; some choose to hide their gifts to be able to lead a normal life; a few maintain a purpose of serving for the better of the world, convinced that they are fighting against a secret conspiracy encompassing the world’s superpowers and their retained superhero teams; while there are still others obstinately struggle to live openly and proudly with their bodies and abilities, striving for acceptance from a fearful and distrustful general populace. 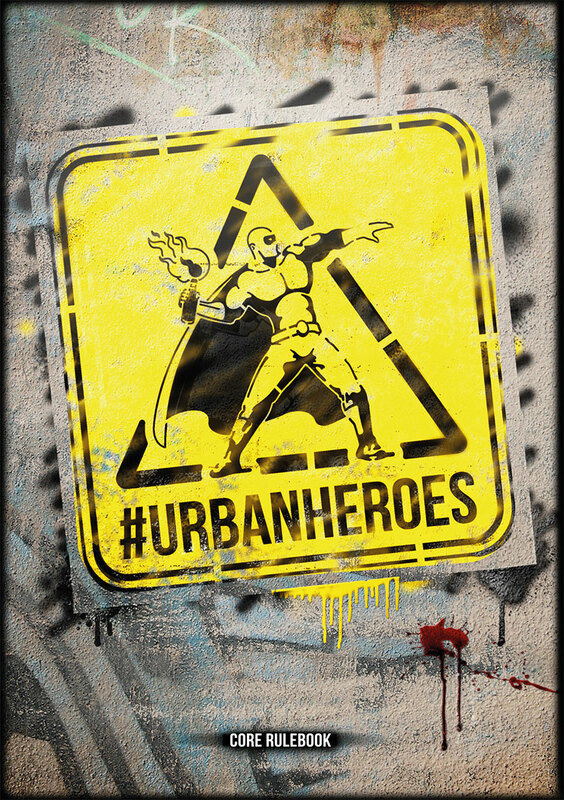 WHAT WILL YOU FIND INSIDE #URBANHEROES RULEBOOK? Extras: #UrbanHeroes is a world that grows day after day, visiting our social account you can find free stuff that will help you play. On our Issuu profile you’ll find some preview and free content for example a selection of 40 pages from the rulebook and the first 20 pages.